On May 11, H.E. 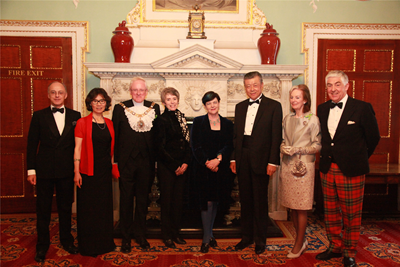 Ambassador Liu Xiaoming and Madame Hu Pinghua were invited to attend the dinner celebrating the 45th anniversary of ambassadorial diplomatic relations between China and the UK at the Mansion House of the Lord Mayor of the City of London. 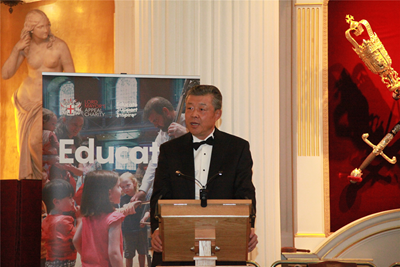 Ambassador Liu delivered a keynote speech entitled Cherish the Golden Era and Build a Better Future. Present at the event, sponsored by the City of London and the China-Britain Business Council (CBBC), were Baroness Neville-Rolfe, the UK's Commercial Secretary to the Treasury, Andrew Parmley, the Lord Mayor of the City of London, Lord Sassoon, Chairman of CBBC, and nearly 200 people from political, business and financial communities of China and the UK. Ambassador Liu noted that the past 45 years have witnessed how China and Britain have moved with the trend of the history and worked together creatively to upgrade China-UK relations from comprehensive partnership to comprehensive strategic partnership, and then to the global comprehensive strategic partnership for the 21st century, and finally to the "Golden Era" in China-UK relations, which have set an example for relations between big countries. With the courage to be the first, China-UK practical cooperation has seen 45 years of intense development, forming a highly interdependent bond for mutual benefit and win-win results. Ambassador Liu expressed his hopes that China and Britain will embrace the spirit of tolerance and inclusiveness to respect each other and treat each other as equals, accommodate each other's core interests and major concerns and handle the differences properly. It is equally important that the two sides are committed to pluralism and ready to learn from each other, respect and draw strength from each other and constantly promote cultural and people-to-people exchanges. Besides, the two countries should further promote the "Spirit of Youth" and allow young people to grow the seeds for better relations in the long run. In his speech, Ambassador Liu spoke highly of the important role of the City of London in promoting China-UK cooperation. He pointed out that the City is both Britain's window opening to the world and an epitome of the ever deepening China-UK cooperation over 45 years. And he hoped that the City will seize the opportunity of China-UK Belt and Road cooperation, leverage its financial and intellectual resources to support the Belt and Road building, as well as create a new momentum for sustained development and prosperity of the City itself. 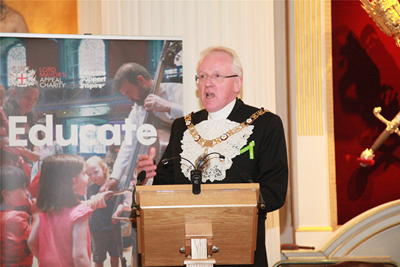 The Lord Mayor noted in his speech that China is an important trade and investment partner of the UK. The City is committed to promoting economic and trade relations between the two sides and will continue to explore new channels and ways to further deepen bilateral cooperation. He was delighted to recall his visit to China with a delegation a few days ago, and expressed the City's readiness to continue expanding exchanges and cooperation with various sectors of China. 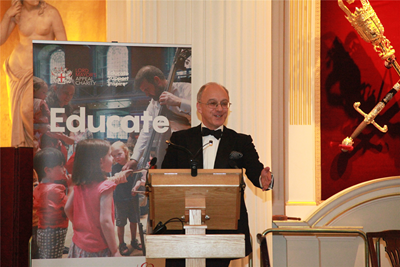 In his speech, Lord Sassoon said that since the establishment of ambassadorial diplomatic relations, China and the UK have witnessed the constant progress of bilateral relations and rapid development of cooperation in trade, investment, education, art, technological innovation, sports and tourism, etc. He expressed his hopes that the two countries will engage in closer cooperation in various areas to benefit the peoples of both countries. During the dinner, the London Symphony Orchestra performed a wonderful repertoire with both eastern and western elements. 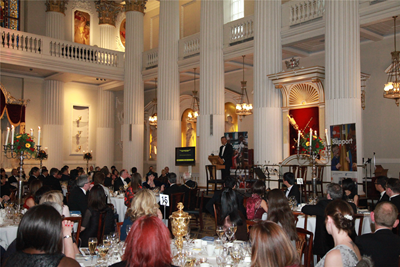 The guests raised their glasses to toast a more brilliant China-UK relation in the next 45 years.